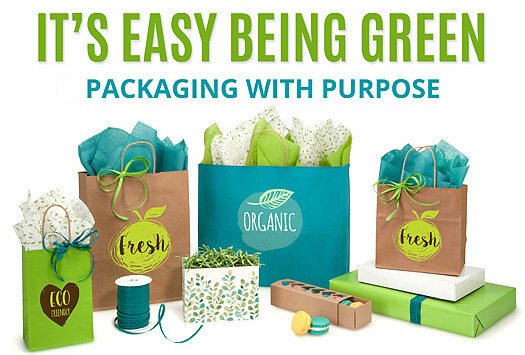 What is Green Way® Packaging? The Green Way® Brand signifies recycled, degradable, natural or sustainable packaging that meets an exacting set of requirements for both materials and manufacturing. Nashville Wraps offers Green Way products in many packaging categories. To be sure you are ordering Green Way products, simply look for the Green Way logo on the order entry screen. Green Way®, the Green Way logo and the word phrase "Packaging with Purpose" are the registered trademarks of Nashville Wraps, LLC. All rights reserved. Usage of any of these trademarks requires the written consent of Nashville Wraps, LLC.